Spring flowers blossom next to marshland and Anti-Lebanon Mountain at Kfar Zabad Globally Important Birding Area in Bekka Valley region of Lebanon Monday April 28, 2008. In 2005, the Kfar Zabad wetlands earned Hima status through the collaboration of local municipality officials and landowners with SPNL and other organizations engaged in wildlife conservation and eco-tourism. Common Otter (Lutra lutra), Wild Cat (Felis sylvestris), reptiles and amphibians. Hunting, disturbance of birds, water abstraction, diversion of water/canalization, irrigation, agricultural intensification, grazing. 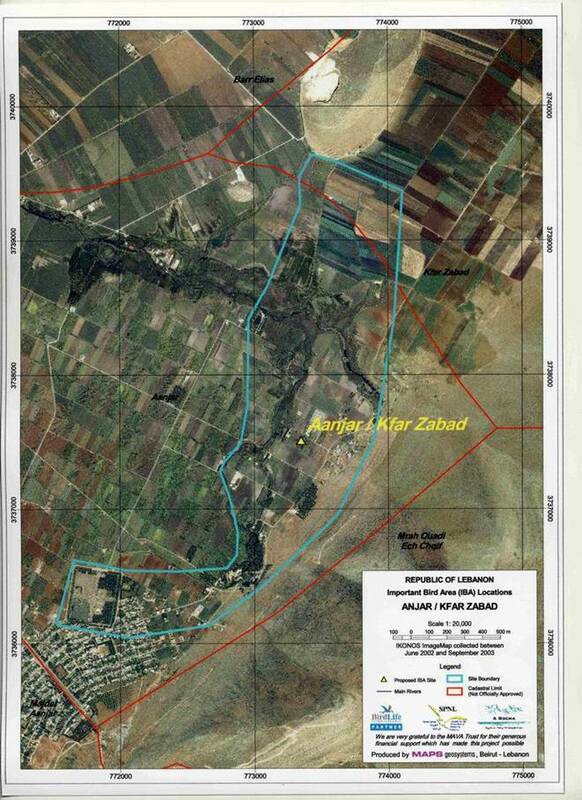 Declaration of Hima at Kfar Zabad, including hunting ban, access restriction, habitat creation / restoration. 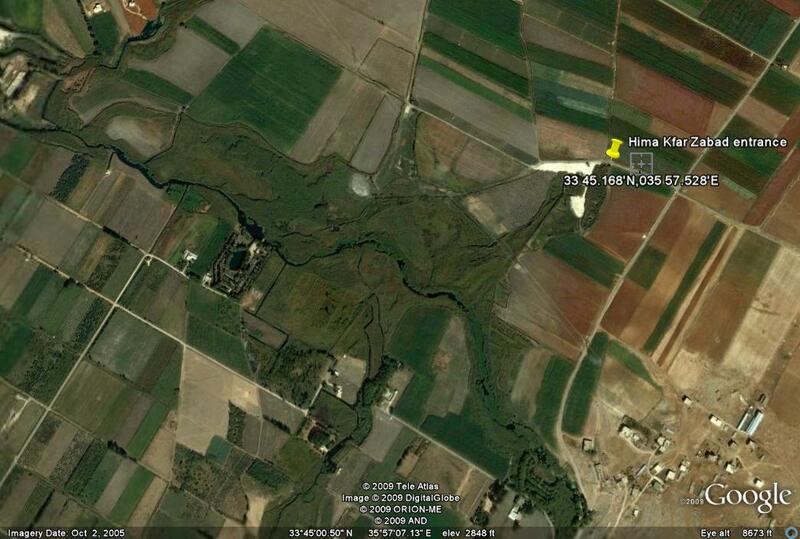 Current-declaration of Hima at Anjar from the mountain slopes along the riverside. Future – Extension of Hima conservation approach to the entire site.